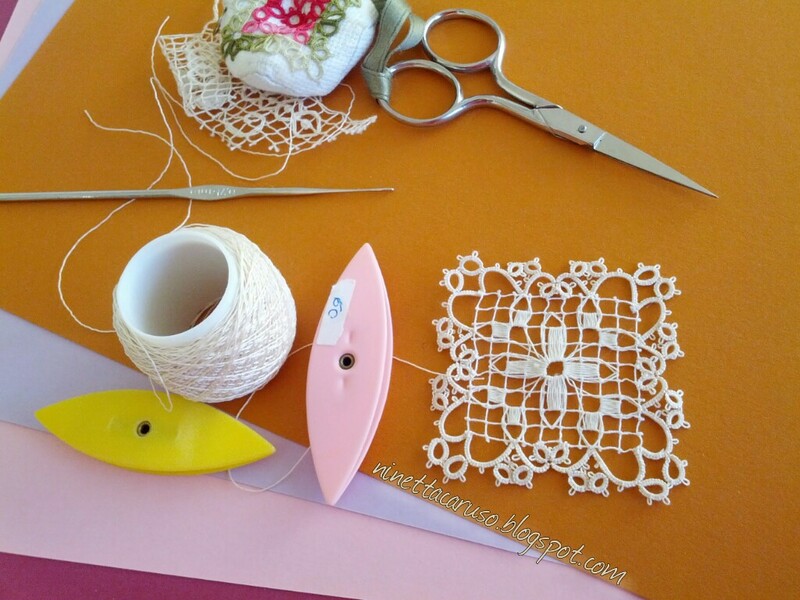 If it happens to feel a strong desire to learn a new type of lace, I try to use the new obsession safely in any combination with tatting. If you ask around, they always recommend the importance of a varied diet. 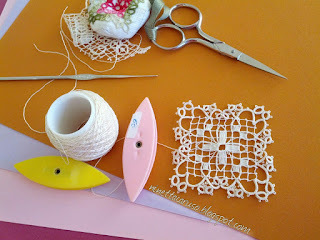 Center has been made in Sardinian Bosa filet lace, a type of embroidery on a handmade net, so there're two techniques to learn. I used dmc thread size 60. There are differences in their drawings, it depends which part of Sardinia it was from, this one is from Bosa, in the middle, on the sea, west side. Really dainty and pretty. I like your concept of a varied diet! Very pretty, and a great idea to combine techniques! 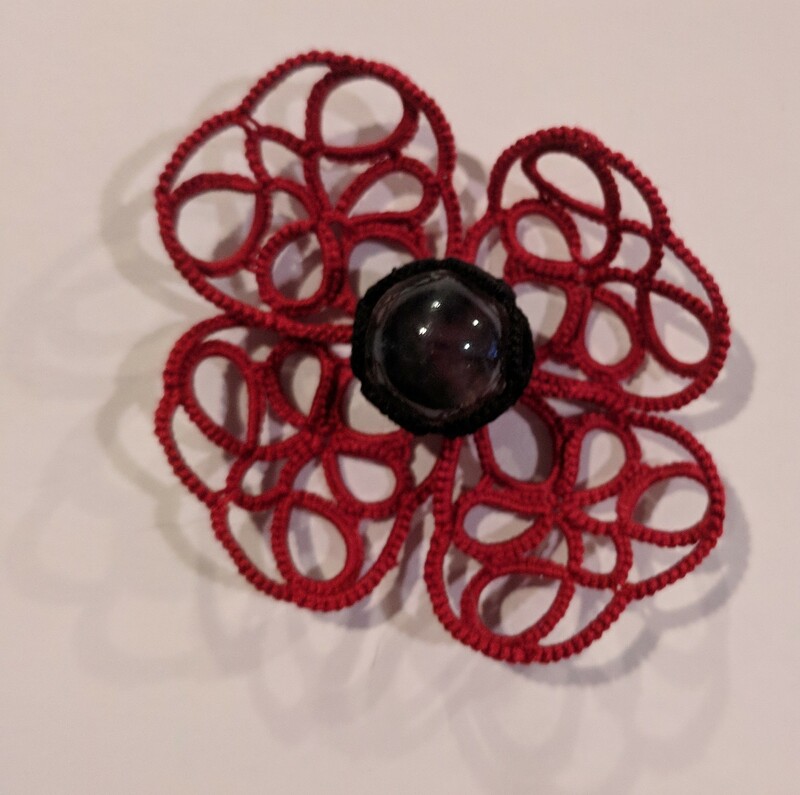 There are really tremendous opportunities to combine several lace techniques. It is exciting! Thank you very much, everyone! I'm still learning that type of of filet, I'm going to meet again the ladies from Bosa, in 15 days, I can't wait!